Laundry day is so much fun! 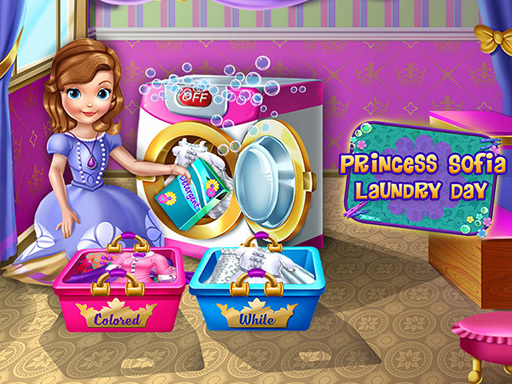 Join this young princess and help her wash her clothes. Begin by separating the white tops and bottoms from the colored ones, you don't want any staining! Add detergent and fabric conditioner and turn on the washing machine. After the washing cicle is complete, put the clothes outside so they get all dried up.